Error: Could not load type ‘System.ServiceModel.Activation.HttpModule’ from assembly ‘System.ServiceModel, Version=#.0.0.0, Culture=neutral, PublicKeyToken=####’. 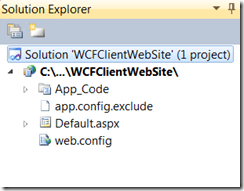 As per MSDN blogs this error can occur when IIS is installed after installing .NET Framework 4, or if the 3.0 version of the WCF Http Activation module is installed after installing IIS and .NET Framework 4. 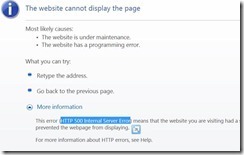 This error showed up when I tried to deploy an ASP.Net Web Service to IIS 7. I tried multiple thongs, including: adding Script Handlers, changing ports and what not. But thanks to the post here, I just ran the following command and I was able to access the web service. This command invokes the ASP.Net IIS Registration tool. Detailed here.